Red Rising is one of those rare books that make me outwardly excited. I don’t react to books unless they make me really upset or I’m so in love with them I can’t stop talking about it. This is definitely the latter. Darrow is a Red, a section of the Mars colony that takes care of mining for resources to help supply and keep the terraforming of their planet moving forward. He’s comfortable with his work and life, though it is hard and demanding…but that comfort is riped away when he finds out he’s nothing more than a slave and Mars has been livable for generations. I love Darrow. He’s got an arrogance about him that tetters on being too much, but he has the skills to back all the talk up and he doesn’t fear anyone. His transformation into a Gold was rather cool, and I really liked all the changes but I mostly enjoyed the fact that he stayed true to who he was despite needing to fit in. If you are ever in need of a character who basically radiates badassery, Darrow is your man. He’s determined, intelligent, and has a knack or strategy…and as long as he has his goal, he keeps moving forward. A few other characters I basically worship now are Goblin and Mustang (nicknames). Goblin is who I would want to be when it came down to a fight for survival. He has questionable sanity (but isn’t insane), he’s the very meaning of stealth, and he loves to make a impression. Mustang is who I want to be period. She’s gorgeous, as all Golds are, but she’s incredibly smart and makes an awesome right hand for Darrow…when they are not at each others throats. The world building in this book is basically what I live for. It has depth and detail, and it’s the sort of writing that makes me wish it were a blanket so I could wrap myself in it and forget the real world exists. I loved the stark differences between some of the castes like Pinks, Purples, and Golds. I was expecting the typical upper, middle and lower classes but instead we get classes purely for those working in pleasure and even a class devoted to those who create, but none of them have the freedoms and power that a Gold does. The command schooling is the coolest most horrific school I think I’ve come across in a dystopian so far. I loved that everything is so hands on and that they have to put strategy to the test in a real life, incredibly dangerous situation and that they have to maintain and adapt those strategies for as long as it takes to complete the task. Where the first part of this book is somewhat slow and busy building the world, the sections with the school are brutal and turned it into an addicting read where I had no issues making up excuses on why I needed to read just one more page. Red Rising is one of those few books that manage to live up to the hype surrounding it. It’s every bit as fun and action packed as they say, and if it wasn’t for other commitments I would just into Golden Sun as soon as possible. Image | This entry was posted in Book Reviews (2015) and tagged 5 stars, dystopia, review, sci-fi. Bookmark the permalink. Squee. 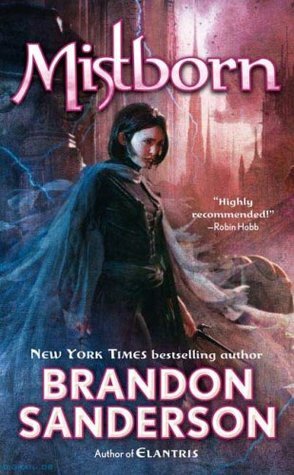 I loved this book hard and the next book Golden Son rocked as well. The,world building is phenomenal and Darrow is one of my favorite characters. Oh, Michelle, I’m so glad you loved it so much. Now I don’t have to go down to Georgia and challenge you to a fiddle contest for your soul. Wow … I need to stop listening to Charlie Daniels. 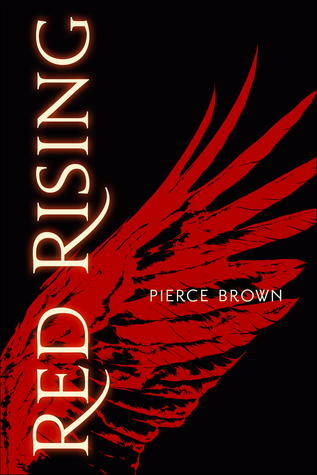 I just read Red Rising this year too and loved it! I haven’t read the sequel yet but I NEED to. I am such a slouch because I still have both of these books on my Kindle from Netgalley. I didn’t feel too bad about waiting on reading Red Rising because it was when they listed it as an already published book a little while before Golden Son was listed. Now that Golden Son has been out for quite a while I get a twinge when I think about them being unread. When is Morning Star coming out? I thought the most interesting thing about Red Rising was the way the last section parallels the rise of human civilization and development. Start out with nothing, band together in small tribes that grow as you gain resources, defeat enemies, live at the mercies of the gods until you become strong enough to rise up and overthrow the gods. I thought that was a stroke of brilliance, when it comes to storytelling! I’m so glad you enjoyed this book, I loved all of the symbolism and themes in it. The writing was so beautiful as well. A tip though, don’t read Golden Son until the last book is almost out because you’ll be left a wreck like I am.